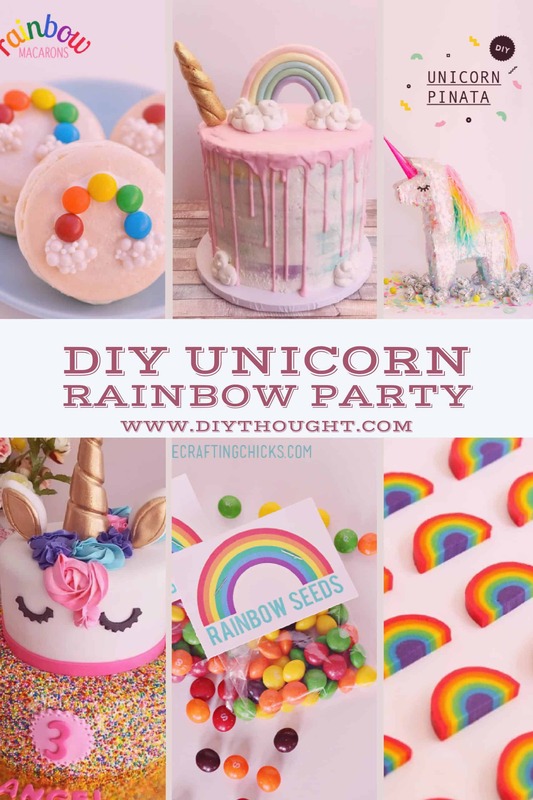 It can’t get more fun than a Diy Unicorn Rainbow Party! 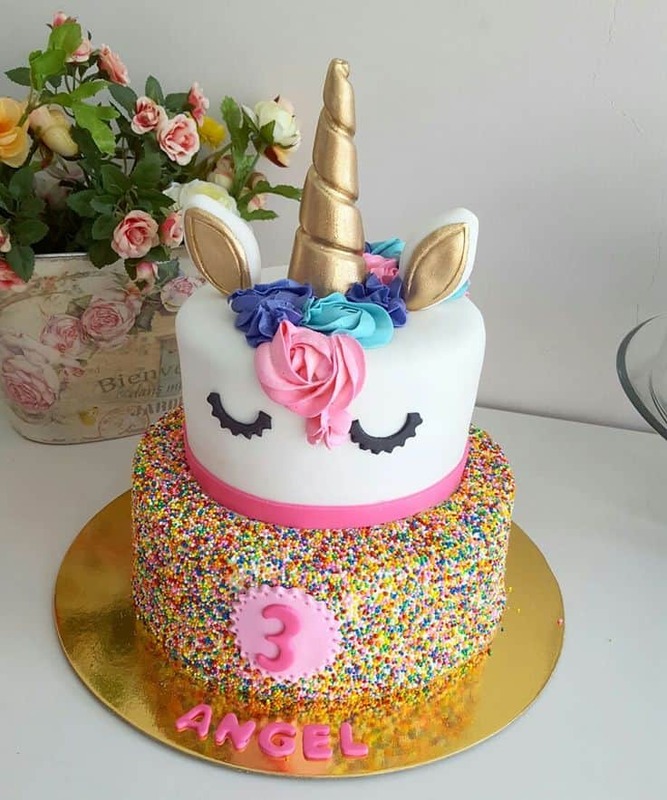 Our oldest daughter is having a combined 6th party with her friend this year and the theme, you guessed it, Unicorns & Rainbows. 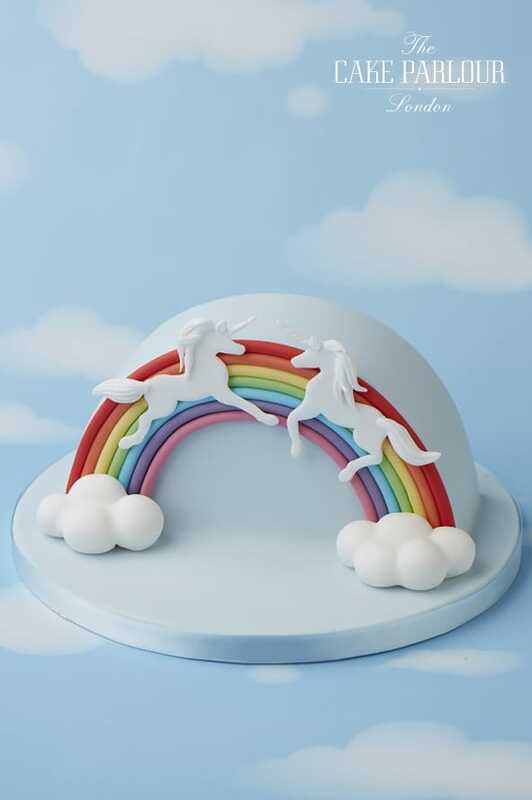 This magical fun theme is easy to achieve, after all almost anything goes with rainbow! 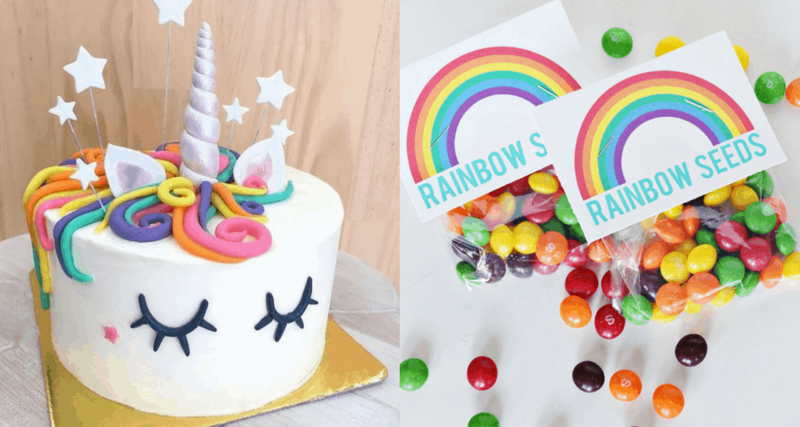 We have your invites, cake, food, games and party favors here so just pop up some rainbow streamers and balloons to complete your Diy Unicorn Rainbow Party. It all starts with the invite and these two will certainly get everyone excited about the approaching party. 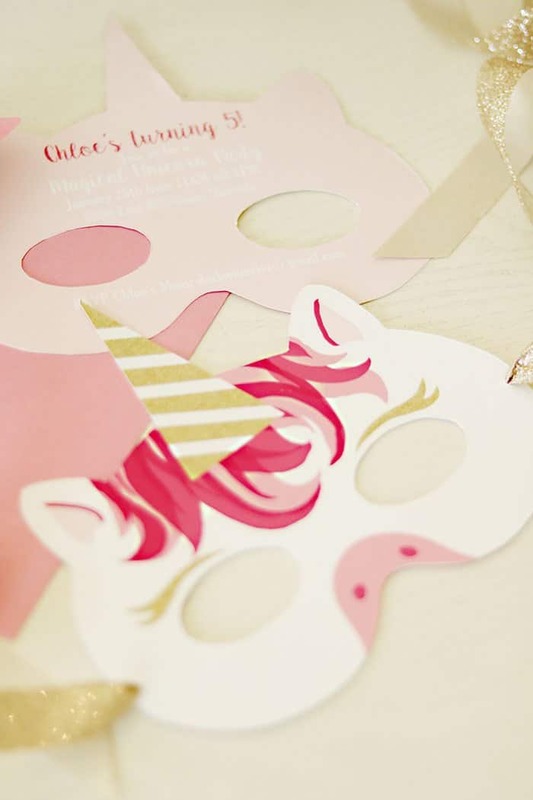 This has got to be the most darling unicorn invite around. Click here for to get the free download. These invites will get everyone in the party spirit. Click here to get the free download. Because every party needs a cake! These cakes may look complicated but with some spare time and a little patience, you can make one of these beautiful cakes. Using a dome sphere tin creates a unique shape to this cake. The rainbow is simple to make, just watch the video above. While there is no tutorial for this cake it is easy enough to figure out. 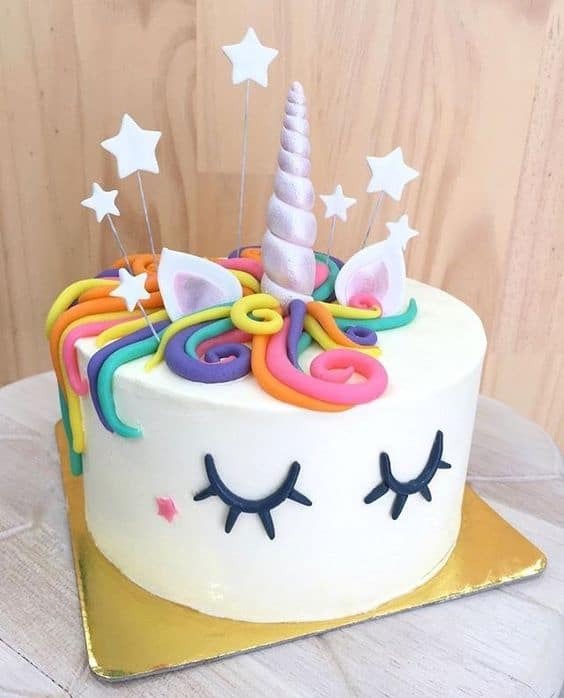 This cake provides a good alternative to a unicorn head cake. Source here. Our simple creation, fondant covered base with a tasty frosting mane. Stay tuned for our tutorial soon! On a base of edible glitter sits a stunning unicorn head. 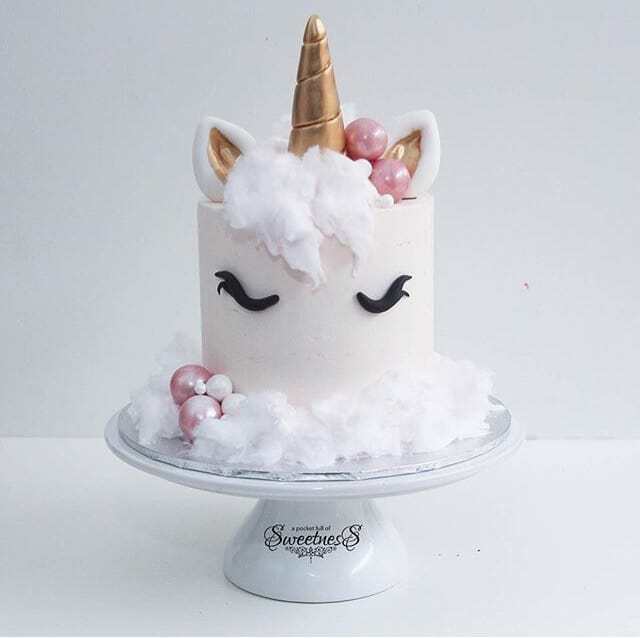 This fantastic tutorial explains in detail how to make each element of this unicorn cake. Another great tutorial which includes a video. 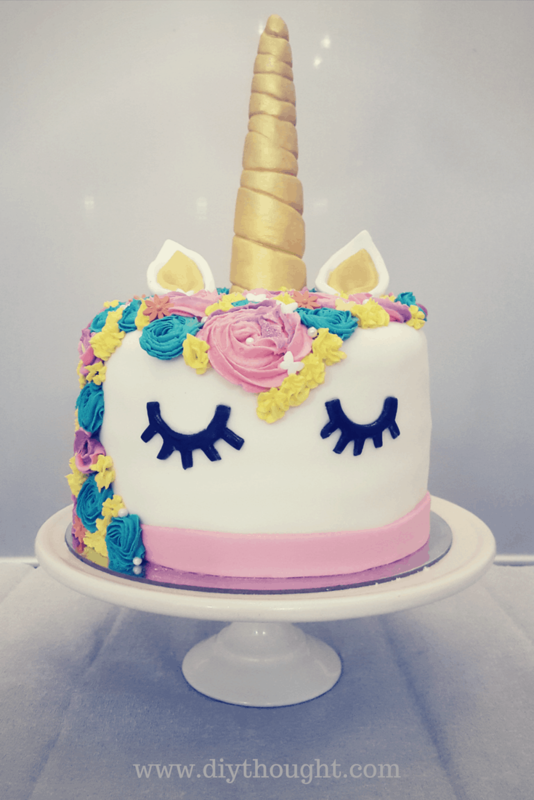 The video shows everything from baking the cake through to how to pipe on that fondant mane. 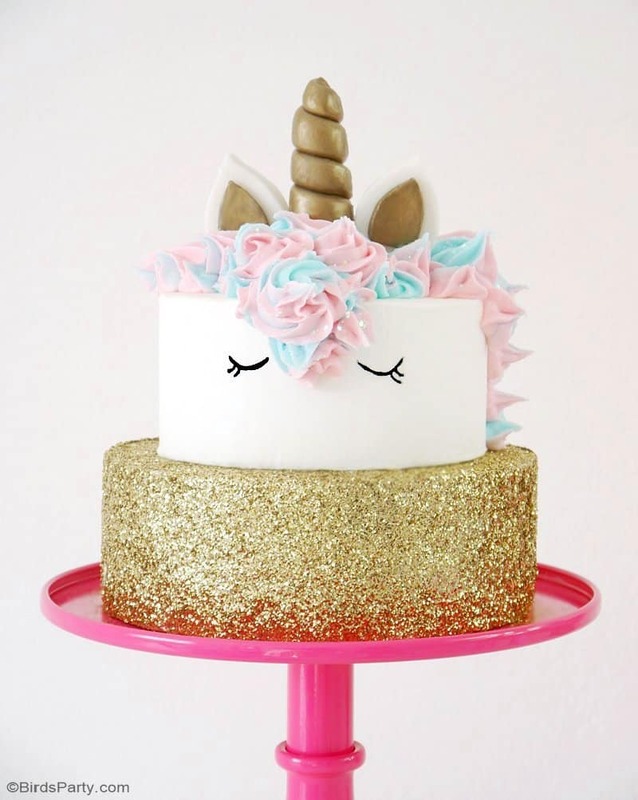 For the ultimate Unicorns & Rainbows party put your unicorn head on a sprinkle base. Learn how to sprinkle a base here. 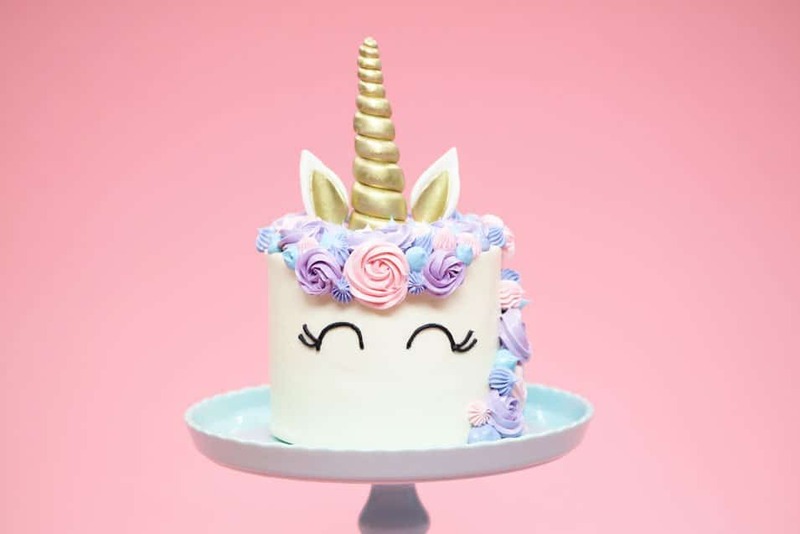 Unicorn cake photo source here. For an alternative to piped on hair try this rainbow fondant hair. Or keep it super simple with candyfloss hair. 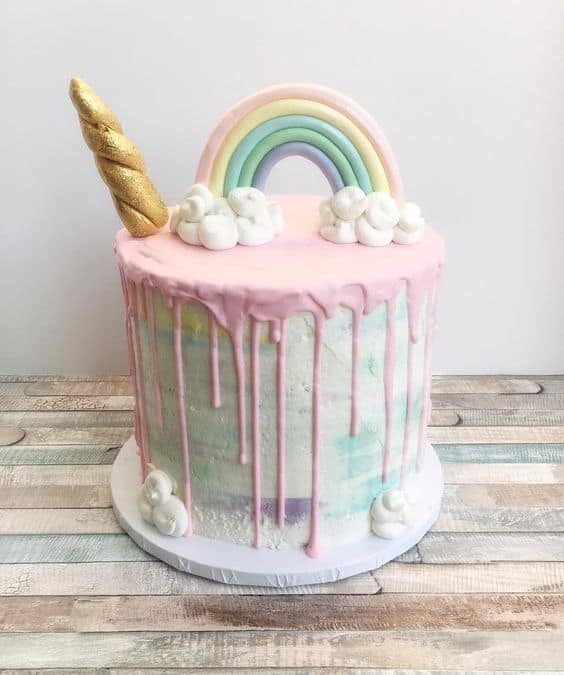 This cake is a great example of working a rainbow and horn together. Source found here. There will be no hungry tummies with all of this yummy food! 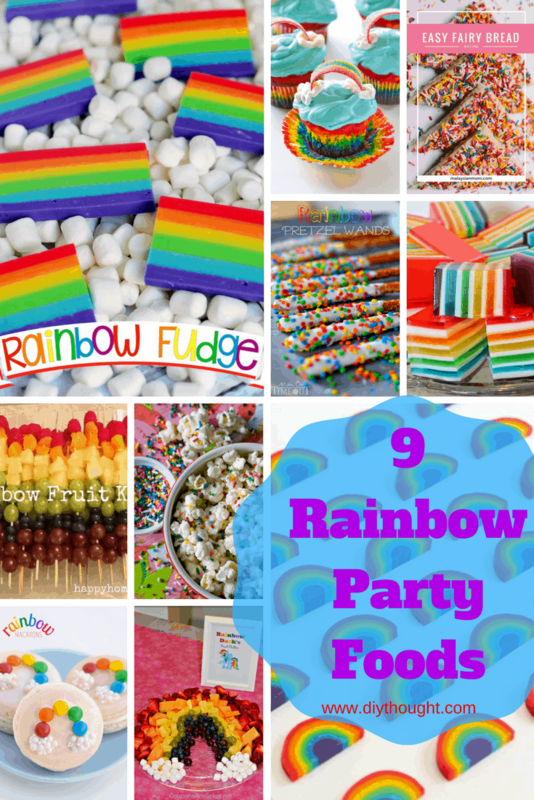 Read about these 9 rainbow party foods here. Keep kids entertained with these fun games. 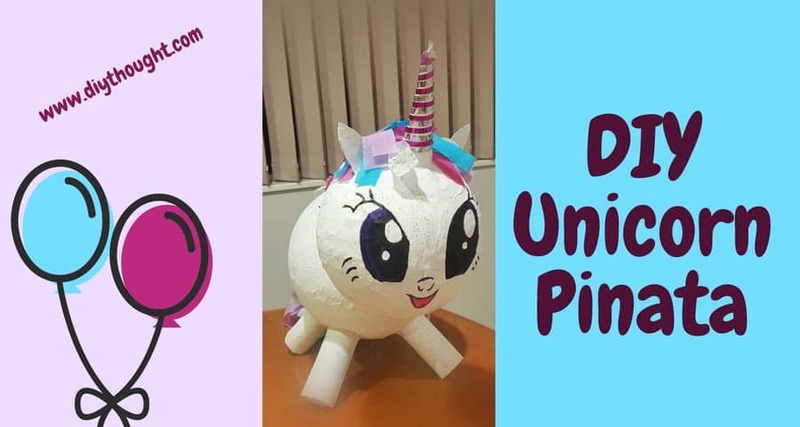 The first is a store-bought pinata that has had a make-over and now its a unicorn! This is a great tutorial for if you are not wanting to make a pinata from scratch. 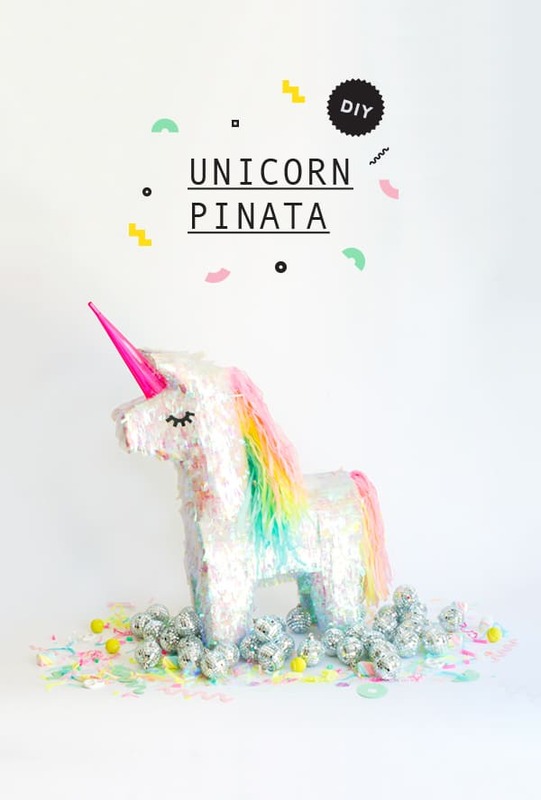 Alternatively, check out our unicorn pinata which is made of two balloons. Be brave and have a unicorn poop slime table or make some as party favors to take home. Follow this link to see the full tutorial. 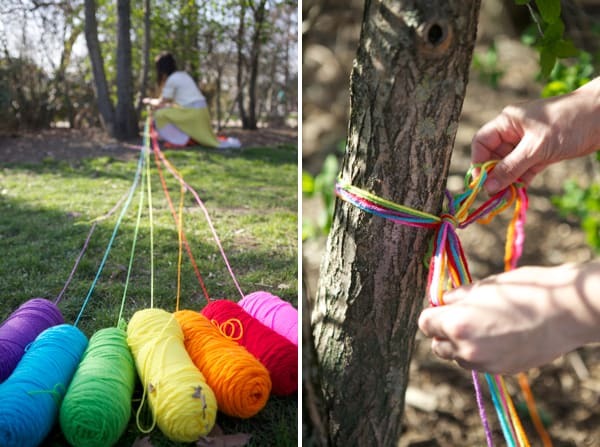 Follow the rainbow yarn to find the treasure at the end of the rainbow. Follow this link to find out more. A simple game that kids love! Paint enough rocks so there is at least one per child. Hide and let them find. To make the game more exciting for older children paint one or two in a different color and those rocks win a prize! This game also featured on our DIY My Little Pony Party. This unicorn treasure hunt will keep the kids busy. Find out more here. 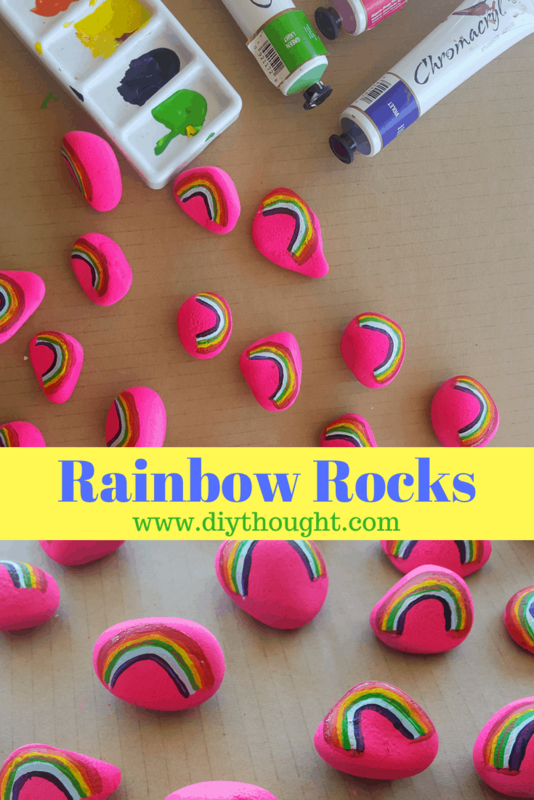 Rainbow seeds are adorable, affordable and easy to put together with this great rainbow seed template. 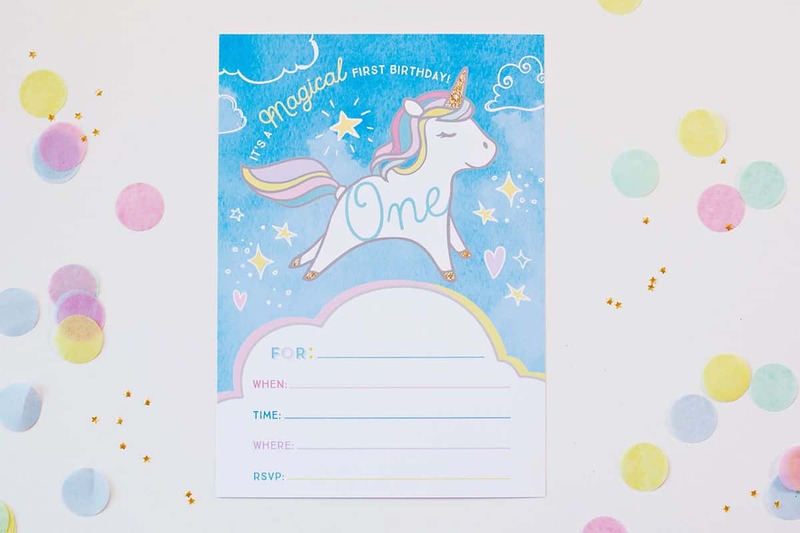 Looking for something to make the kids giggle then try this adorable Unicorn Poop Printable. Click here to get these free printables. 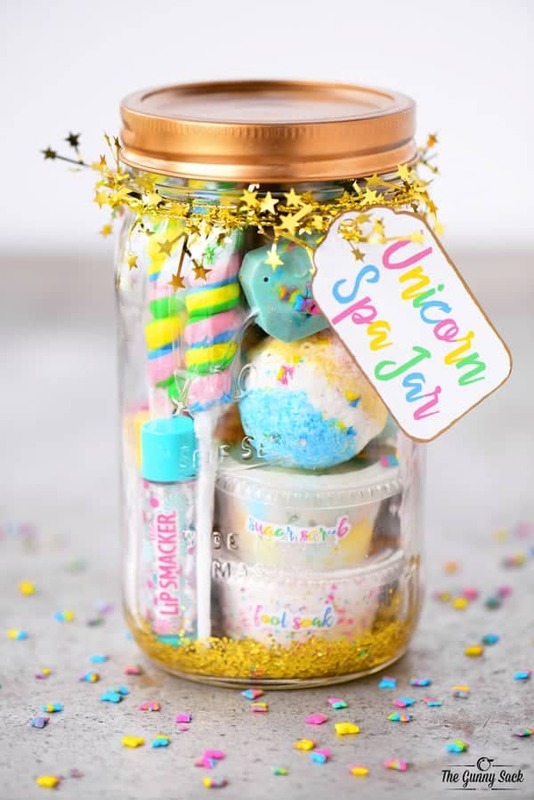 A unicorn jar filled with all sorts of spa goodies. Click here to read the full tutorial. 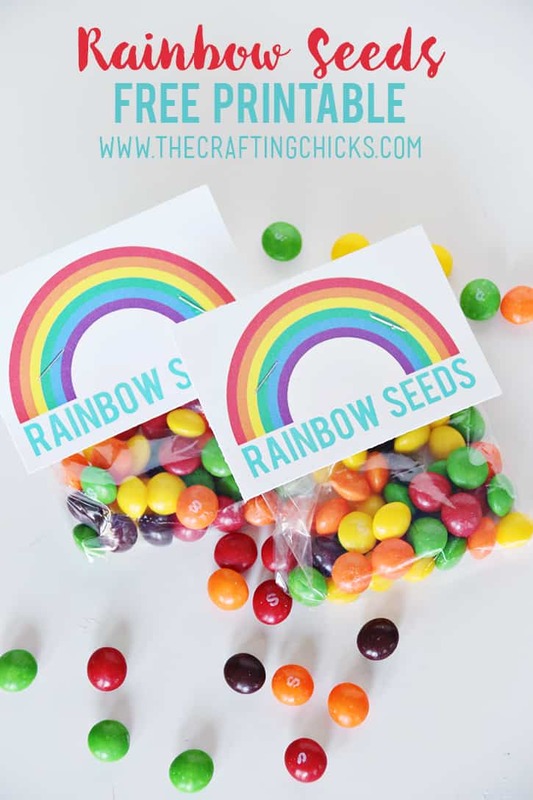 Thank you for the rainbow seeds printable! !